After three consecutive months of strong job growth, the pace of hiring slowed in January. Despite the slowdown, the unemployment rate fell to 4.9 percent, average weekly hours ticked up, and wage growth accelerated. 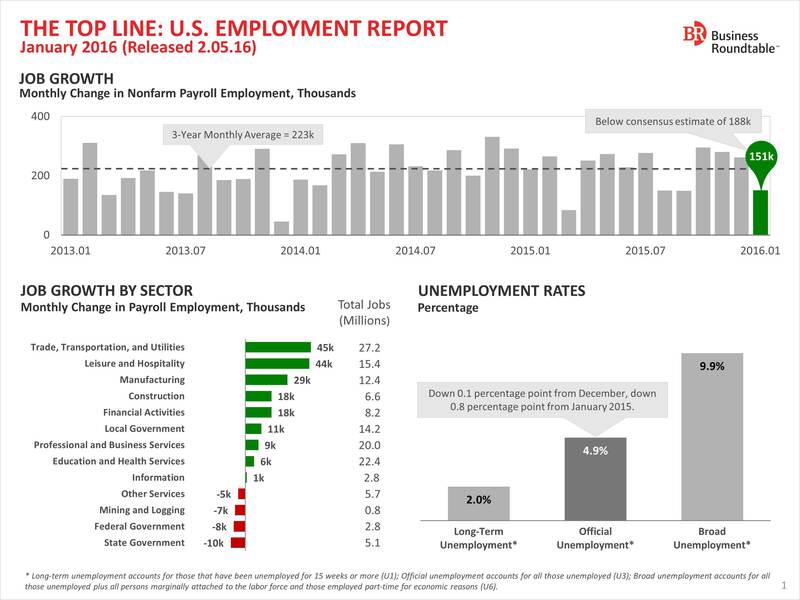 The report suggests that the U.S. jobs market has remained relatively steady in the face of market turbulence and economic headwinds overseas, and that wage pressures may continue to rise in 2016. For more detail, see The Top Line below and downloable here.